“Lilly’s former owners were moving and couldn’t take her with them. We adopted her, and she has moved us ever since,” reads a handwritten tag pinned to a crisp, new Canine Campaign t-shirt. Canine Campaign is a new company based out of San francisco with a focused mission: help find homes for all homeless dogs by donating proceeds from t-shirt sales to local dog rescue groups. 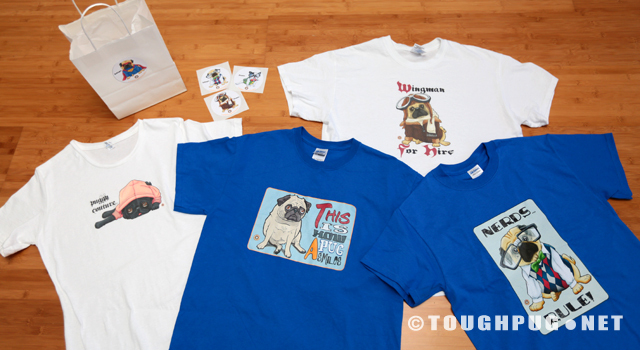 Canine Campaign sells some of the most creative dog themed t-shirts we have ever seen. 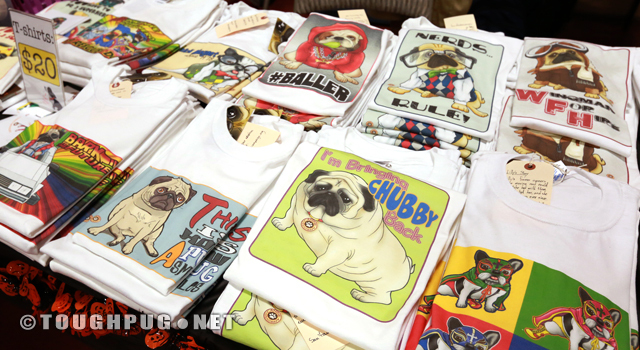 In fact, they have a full variety of t-shirts with pugs: fawn pugs, black pugs, even one with a brindle pug, fat pugs, goofy pugs, groovy pugs, and superhero pugs. This may be due to the fact that the founder and lead design artist, Daniel Samranjit, is a pug owner. His pug, Lilly D. Pug, serves as inspiration. Although, we must mention that there are designs with other breeds as well and those designs are ever growing. Daniel started this company after volunteering at a few pet adoption events and noticing a shortage in volunteers and fundraising capabilities. “My wife and I used to volunteer for a pug rescue group in Orange County when we lived in Southern California. They do such a great job finding forever homes, foster homes and giving homeless pugs the medical attention they need, but they needed help with fundraising,” Daniel explained. The rescue group he volunteered with often tried to raise money with bake sales. From his point of view, “Although the idea seems cute, selling cookies for a dollar a piece doesn’t bring in very much money for these groups to help cover expensive medical costs for the pugs. That broke my heart to see these volunteers working so hard to make so little to help their cause.” He felt compelled to help fill the gaps and so Canine Campaign was born. Daniel at Bay Area Pet Fair & Adoptathon with Tiki, who is looking for her forever home. We did a little Q&A with Daniel. – Any specific goals you are trying to reach with Canine Campaign? – How did you get involved in animal rescue? – How long, on average, does it take you to finish one design? – Any future product ideas in the works? – Anything else you want to share? Canine Campaign is truly a labor of goodwill. 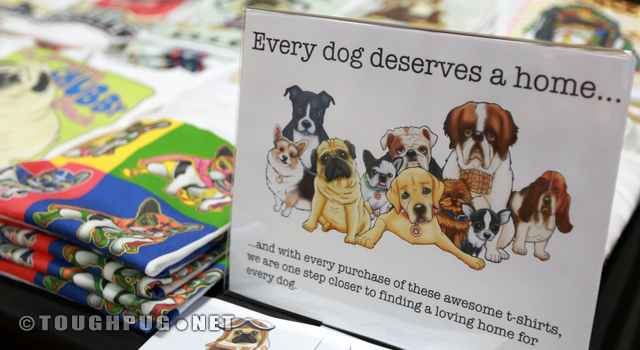 They donate proceeds from every t-shirt sold to rescue groups and also provide their t-shirts to various dog rescue groups for fundraising events. If you want to help feed this win/win scenario, you will get a cute t-shirt and a needy dog will get some financial support, visit their website at CanineCampaign.org. This entry was posted in Our Life, Pug Goods, Pug Rescue and tagged clothes, dogs, goods, pug, pug illustrations, pugs, rescue, shop.